Whether dining out or having friends round for a celebration, one of the choices that many people find most difficult is which wine to pair with which food. So, instead of serving a wine that really makes the taste of a meal pop, they fall back on the old favourites. The meal is still good, but it’s not as good as it could be. In this article, you will learn seven simple wine pairing rules that will take your dining experience to a new level. 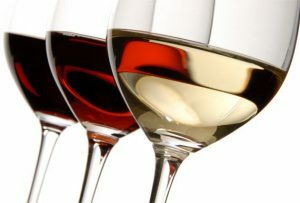 Knowing which wine to select from a wine menu really doesn’t need to take years of training and practice (thought the practice can be quite pleasurable!). All you need is a few simple pointers. And this is what these seven simple wine pairing rules give you. If you are having hors d’oeuvres, then you should select a dry rosé. It’s a combination of fresh acid, the lightness of white wine, and the fruitiness of a red wine. Perfect to accompany a range of appetizers before the main event. Chefs are a strange bunch! Whereas you or I think of the meat as the main event, a chef sees the sauce as the star. So, when deciding how to choose your wine for dinner, choose the sauce first! This is especially true if you are eating a lighter meat; match the wine to the sauce, rather than to the meat. It makes sense, too. A chicken breast with a zesty sauce tastes different to the same breast with a white wine sauce. If eating pork with a meaty sauce, try a deep red. If the sauce is tangy, pair with a wine with a zing – perhaps a Zinfandel. Alcohol emphasises the oils used to prepare spicy foods. This distracts from the true flavour. Instead of a high percentage wine, try a lower percentage such as a Riesling. The higher the spice, the lower the alcohol percentage is a good rule of thumb. When it comes to red meats and wine pairing, the richer the meat, the more tannic the wine should be. Pair duck with a Cabernet, venison with a Chianti, and filet mignon with a Barolo. For those earthy meat dishes such as a succulent rib eye and vegetables such as wild mushrooms, choose a wine that is equally earthy. A Pinot Noir is often a favoured choice. Don’t get fooled into thinking the sweeter the wine the better as a match for dessert. You don’t want to overpower the finale, so choose a wine that is a touch less sweet than your sweet. A Moscato and Madeira are popular choices. These wine pairing rules should help you select the ideal wine to accompany your meal. But if you are still not sure, never be afraid to ask the maître d’ for their recommendation – you may be surprised to discover the difference it makes to your dining experience.